Tummy tuck, or abdominoplasty, is a major surgical procedure designed to remove excess skin and fat from the middle and lower abdomen, and tighten the abdominal wall muscles. The procedure usually results in a flatter, tighter abdominal area where fitted clothing and bathing suits can be worn with confidence. While a full tummy tuck tightens and recontours the entire abdomen (from the pubic line to the bra line), a mini abdominoplasty focuses only on the lower abdomen—mainly improving the area between the pubic line and belly button. Since a mini tummy tuck is a less extensive surgery than a full tummy tuck, recovery time is generally shorter, and the procedure usually leaves a smaller scar. Candidates for a standard abdominoplasty are men and women who are healthy, but bothered by loose skin, stretched abdominal muscles, and excess fat affecting the appearance of the midsection both above and below the belly button. 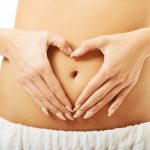 The procedure is most commonly performed on women who, after multiple pregnancies, have stretched their abdominal muscles and skin beyond the point they can return to normal naturally. Patients who plan future pregnancies or significant weight loss should typically postpone surgery. At your initial consultation, board-certified plastic surgeon James Matas, MD will discuss your goals and motivations for surgery, along with assessing your physical and emotional health and reviewing information you provide about previous surgeries and pregnancies, past and current medical conditions, as well as nutritional supplements, herbal remedies and pharmaceutical medications you take. 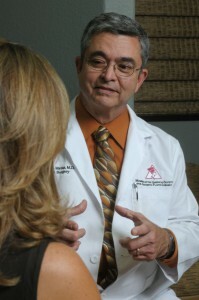 Dr. Matas will examine your abdominal region, assessing the amount of fat and loose skin you have. He will explain factors that may affect the outcome, along with the risks and benefits of the procedure. Depending on your specific needs, goals and overall health, Dr. Matas may require you to take certain steps before surgery, including guidelines on eating, drinking, smoking and taking certain medications and vitamins. When necessary, he may ask you to lose weight before the procedure is performed to obtain best results. First, an incision is made which extends from hip bone to hip bone and is just above the pubic area. An additional incision is made around the navel. Then, the skin and accompanying fat is lifted to access the muscles of the abdominal wall, which run from pubic hairline to just below the bra line. These muscles are brought together and tightened by permanent sutures. The skin, with attached fat, is stretched down and removed. The navel is then repositioned and stitched into place. Finally, the incisions are brought together with several layers of sutures and surgical tapes. In a “mini” tummy tuck, the skin is separated between the incision line and the navel. The skin and accompanying fat is stretched down, excess skin is removed and then stitched into place. Abdominoplasty surgery usually takes three to four hours to complete, and is performed under general anesthesia. An overnight stay is necessary, with our specially-trained registered nurse responsible for your care until you are discharged the following morning. What is Abdominoplasty Recovery Like? For the first few days, your abdominal muscles will be extremely tight, with swelling, pain and discomfort, and you may find it difficult to stand up straight during this time. Over the first week, all support staples and sutures will be removed from your abdomen. You will be wearing an abdominal binder for support during the next few weeks. Over several weeks, our licensed massage therapist will use a special massage technique to reduce your swelling and increase your mobility. Usually extending from hip to hip, scars are an inevitable aspect of tummy tuck surgery; however, certain steps can be taken to help conceal their appearance and minimize their prominence over time. During surgery, Dr. Matas is careful to place the incision for abdominoplasty in a position that can be hidden under most clothing and bathing suits. In addition, your post-operative “patient care kit” will include a silicone-based scar reducer with SPF 30 that is highly effective when used as directed. In the initial months following surgery, your scars will likely appear red, but the tissue should lighten in color and flatten within the first year. It is important to protect your scars from the sun and tanning beds for at least one year to prevent them from darkening. After abdominoplasty, your abdomen will be flatter and tighter. You’ll be thrilled during your first shopping trip to find you fit into clothing and bathing suits you’ve had trouble wearing before! And the results of abdominoplasty are typically permanent if you do not gain an excessive amount of weight in the future. Dr. Matas, Thank you once again for all your help and kindness. I also want to reiterate how professional your staff was. You nurse stayed in touch with me and kept me informed at all times; calling me on Sundays and after hours, such as on the night of my surgery. I am sure it is a part of her job description; however, truly dependable and efficient employees are a rarity these days! You are not only a prodigious and an adroit doctor, but you are simply the best! If you would like to know more about how much your tummy tuck procedure would cost, we encourage you to take advantage of our free cost analysis option or schedule a one-on-one consultation with Dr. Matas. After your consultation, a knowledgeable member of our office team can discuss payment arrangements and financing options with you. Qualified applicants may choose to use CareCredit®, a third-party lender, for loan options and flexible installment plans that can make paying for treatment more convenient and affordable. If you are considering a tummy tuck or another type of body contouring surgery and want to find out if you are a good candidate, please contact our practice.